Thank you for taking the time to visit my web site! How parental leaves fit with other care policies. Policy designs that maximize equality and impact. Measuring and assessing broad social impacts and progress towards gender and social equality. 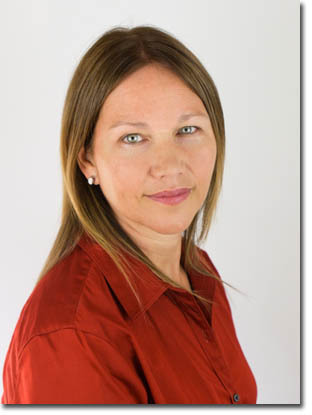 Marian Baird (University of Sydney Business School, Australia), who was recently named one of the 100 most influential people in gender policy around the world. Experts from 22 countries spoke about their national parental leave policies. A team from the World Bank shared a new report and presented a paper entitled Women, Business and the Law: Comparing leave policies across 189 economies. The Better Life Lab and Slate magazine of U.S. think tank New America, presented Paid Family Leave: How Much Time is Enough? The 33rd Annual Qualitative Analysis Conference: Visual methodologies and Visual Ethnographies was held at Brock University, May 11-13, 2016. To connect with me: andreadoucet@mac.com [or] adoucet@brocku.ca [or] @andreadoucet (Twitter). 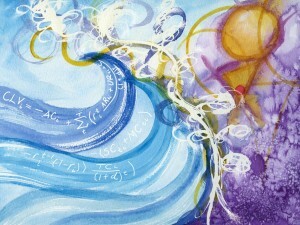 Painting by Christine Martell (When Science and Art Dance). I wanted to thank you for your recent talk in Toronto on Friday. I found it most inspiring. For my PhD ten years ago, I wrote a story (an auto ethnographic fiction) about dietitians and their professional becoming. I did borrow from Butler when I believed that if we were to shift the discourse around becoming a food and nutrition professional, we would shift the doing. I am eager to consider how this story was agentive and how Code’s work and your own can propel me towards a renewed inquiry. My deepest thanks to you. I am contacting regarding your research on fatherhood. I was wondering if there is a set date for the publication of the second edition of ‘Do Men Mother?’? I have just finished my PhD and am interested in working on fatherfood as a topic for a possible post-doc. Your book captivated my attention, as an aspect that I wish to develop in my research is this notion of concepts: is mothering something only mothers can do, is fathering something only fathers can do. Since my background is in psychodynamic clinical theory, I am interested in exploring these notions and how the growing fatherhood movement is reappraising many of these concepts.